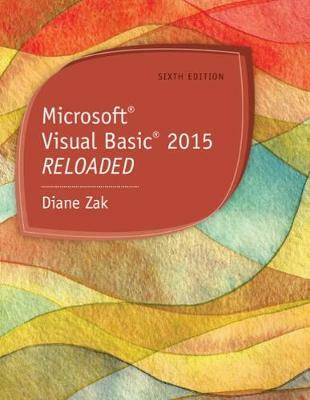 Only MICROSOFT© VISUAL BASIC© 2015: RELOADED pairs fundamental programming concepts with both business applications and fun, engaging game applications. This fully revised 6th Edition provides a solid foundation in programming principles while clearly demonstrating how to most effectively use those principles. The book begins by covering the basics, from creating user interfaces to understanding variables, constants, and calculations. Building on this knowledge, coverage progresses to more advanced topics, such as manipulating and querying a Microsoft© Access database, creating Web applications, and creating classes and objects. This new edition combines powerful, proven learning features from previous editions with the latest content. Clear explanations detail the new features of Visual Basic© 2015 while new examples and applications illustrate how those features can work for you.